Today, I'm remembering my friend Jan. She passed away six years ago on January 19th after a long battle with inflammatory breast cancer. Jan's lot wasn't easy. She had a daughter who was born with what was in the end diagnosed as autism. I think it might have been something else, but Jan spent a fortune trying to find out and help her only child. Jan was divorced when her daughter was only a toddler, so she went the route alone. It was a hard row to hoe without any support. Jan's parents had died when she was in her early 20's, and her only supportive relative was an aunt who lived several states away. Enter Jo and Cindy. Since Jan had no one else to turn to, these two stepped in. Jo was one of the stars of our ALTA tennis team (Atlanta Lawn Tennis Association), and Cindy was our coach. When I joined up back in the mid-seventies, Jan and Jo were already members. We stayed together as a team for over 20 years, taking trips to France and Florida together, and sort of becoming like a family. Jan moved to southern California after her diagnosis, so taking care of her as her condition worsened was no easy task. Cindy and Jo flew back and forth to California, helping put Jan's affairs in order and making provisions for her child down the line. They were there with her when she succumbed to the disease. That spring, Jan and Cindy went to California and brought back items from Jan's estate. They hosted a luncheon that Jan had requested as sort of a memorial service and passed out gifts from Jan to each person there. 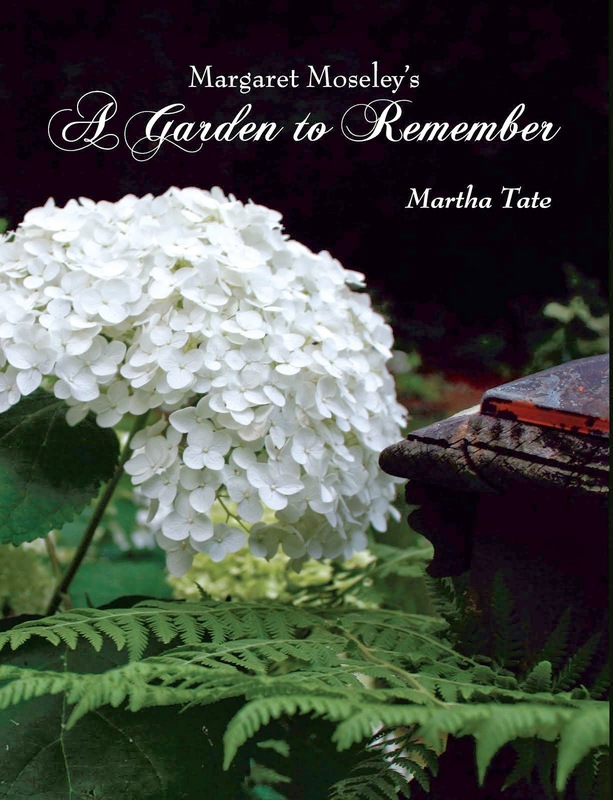 I received some garden books which I treasure greatly. At that luncheon was a gorgeous bouquet of the brightest flowers. I had absolutely no idea what the fabulous orange blossoms were. It turned out to be a type of Scotch broom (Cytisus x 'Lena') from Cindy's garden. It had been several years since I'd seen the garden Cindy carved out of a grassy yard and a spit of woods at the back of her large lot. After the luncheon, I went out to see and was bowled over. Cindy, who had by then mostly retired from coaching (before that, she had been a stockbroker), was writing a novel and gardening big time. Cindy is a "jump in with both feet" type of gardener who doesn't pay attention to rules. She never read that you can't grow cheiranthus (orange wallflower) in Georgia or that ninebark (Physocarpus) is difficult to fit into a garden setting (her dark bronze 'Diablo' is wonderfully situated among other shrubs and ornamental grasses). Her garden, which is expansive and must take a ton of work, is mostly free form, but shows that she is not afraid to plant what she likes. And, she makes a success of it. The above photograph shows gaillardia combined with Euphorbia characias ssp. wulfenii in Cindy's sunny front garden. The latter plant gets huge and out of bounds on the western coast of the U.S., but is usually spindly at best here. I've never seen it so healthy in Georgia as it is in Cindy's garden. Back to the memorial luncheon. Cindy had combined the brilliant orange-yellow branches of 'Lena' with dark blue veronica and some other flowers. It was one of the most charming bouquets I've ever seen. There may have been some blue iris passed along from Cindy's grandmother's garden in there, as well. Cindy and Jo are still responsible for Jan's child, who is well into adulthood now. They make sure she has a job and a place to live and receives an allowance. So, in remembering my generous friend Jan, I also think of her two angels who have given so selflessly of their time and who brought much comfort and care to their friend during her long and hard fought battle. Your blog is quickly becoming one of my favorites. As a grandmother of a child with cerebral palsy who may never speak or be educable, I have been desperately worried about what will happen to her when I,and her parents, are gone. It's good to remember that there are kind and giving people in the world who will step up when needed.